As we get closer to the holiday season and close out 2009, I'd like to take a moment to wish everyone a very Merry Krampus day. What's Krampus Day?" you might ask. Well, it's a lot like Christmas. 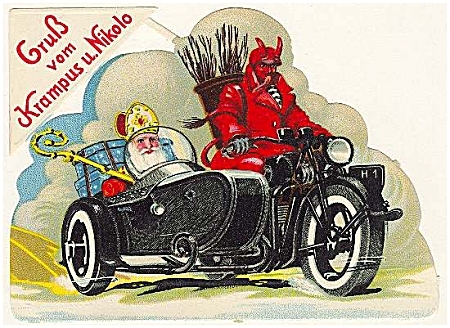 Just replace the guy in the red suit with a gruesome horned devil named Krampus and you've got the general idea. A lovely holiday video can be found here. More detail on Krampus.com.